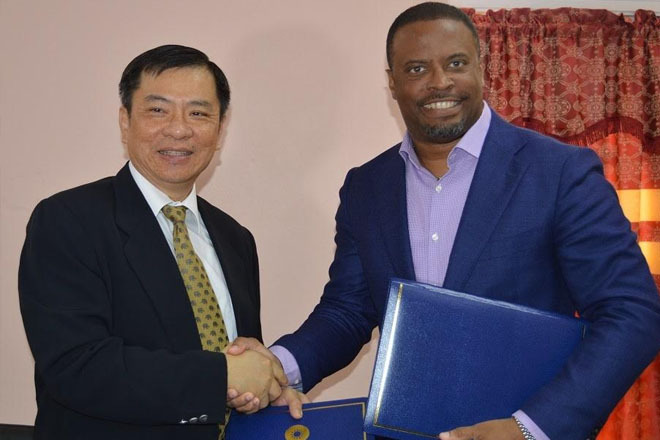 (SKNIS): The Government of St. Kitts and Nevis and the Government of the Republic of China (Taiwan) have strengthened their long standing diplomatic ties with the signing of an Agreement of Bilateral Cooperation on Friday June 10, 2016. Speaking to the relationship between the two countries, His Excellency Gow Wei Chiou said that it is his hope that the relationship will be enhanced to the benefit of the people of both nations. Expressing sincere gratitude on behalf of the Government and people of St Kitts and Nevis, Deputy Premier Brantley said the timing of the agreement is also significant as it comes on the heels of the inauguration of a new government in Taiwan.